Business management is a full-time job, and Betar Business Works understands. 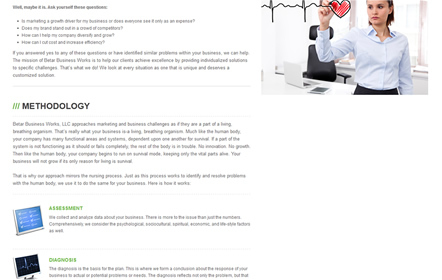 Betar Business Works will work with you to boost the efficiency of your company, whether it’s a healthcare or a hunting business. 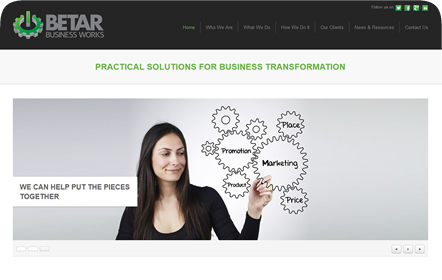 By thoroughly analyzing your company and assessing each individual need, Betar Business Works will formulate the perfect solution to improve your management, marketing or sales performance. 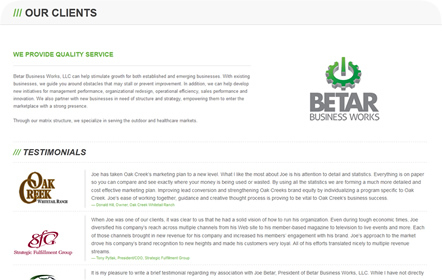 Before coming to us, Betar Business Works did not have a website and their services were mostly word-of-mouth. 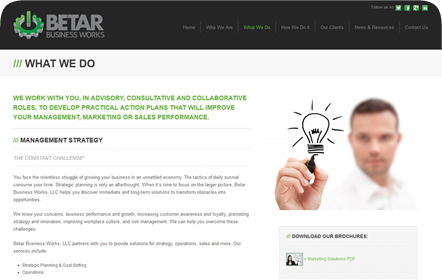 One of the chief features of Betar’s website was not only to show the company’s services, but to be able to update the website easily. 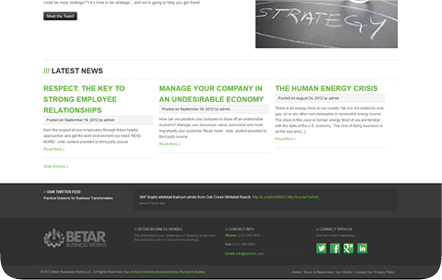 We custom-designed a Wordpress theme so our client could add or modify information as necessary.